Stitches By Carmen is a Custom Drapery Workroom, which means we take your Fabric and Manufacture your Drapery and Bedding to fit your exact specifications. 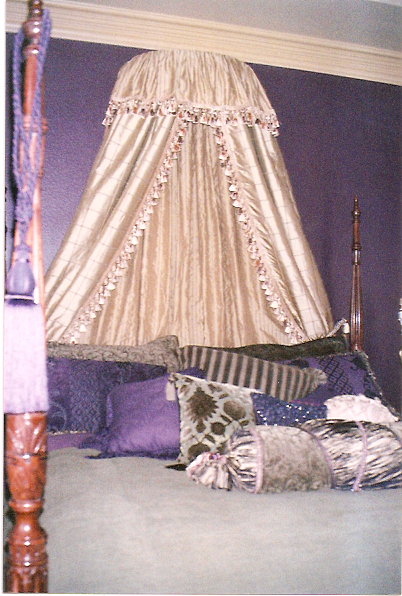 Our custom bedding and custom draperies product designer will assist in the design tailored for your specific needs. We understand that finding the perfect bedding set or drapery can be difficult and time consuming. 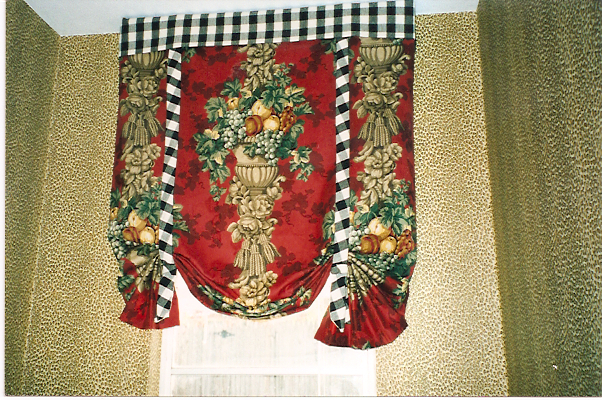 We also understand when we supply our customers with advice, such as measuring for our custom bedding and custom draperies products, we have taken the guesswork out of interior design. 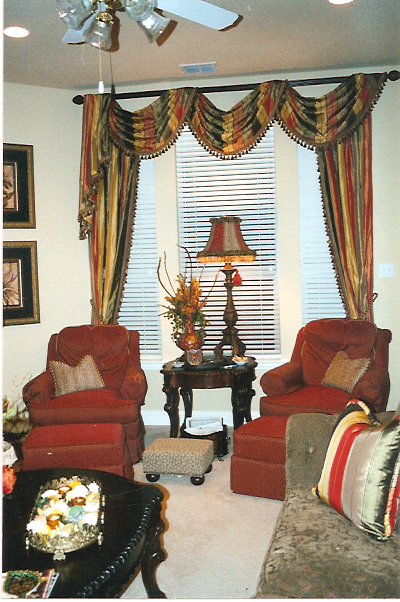 Stitches By Carmen custom crafts the highest quality window treatments possible. High Quality + Low Prices = VALUE. We're able to offer such an incredible value because we own and operate our own Workroom. This means that we have the highest quality control standards possible - as each shade is carefully hung, tested, and inspected before being sent out. 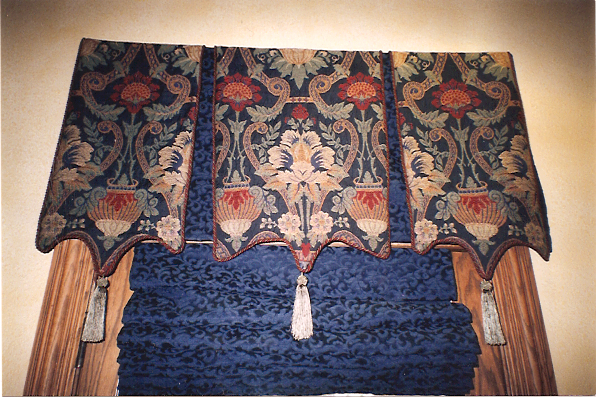 There is no middle man - as you're getting your custom window treatments direct from the source - which means the lowest prices possible. And if something we're to ever go wrong with your order - we're able to respond and rectify the situation as quickly as possible. Stitches By Carmen has been in business for 20 years in Dallas, Texas. We have proudly served many Customers, not only in the Dallas Area, but around the US and abroad. We have completed jobs for Twentieth Centry Fox for the TV show 'Prison Break'. We will come to your Home or Business to Design your Treatments, as an addtional service. This Service is provided by professional Independent Designers. We also offer Installation Services provided by professional Independent Installers.